Esteban received his BS in Economics from the University of Pennsylvania’s Wharton School and his MBA from the MIT Sloan School of Management. After completing his undergraduate studies in 2001, he returned home to Ecuador to join his family’s business, GMS. Esteban managed sales and marketing for six years before becoming General Manager. 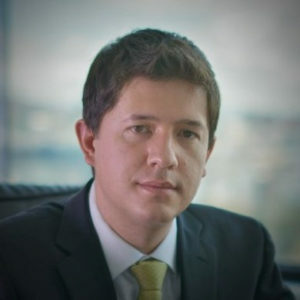 During his leadership, GMS became Ecuador’s leader in IT security and expanded into neighboring countries. After completing his MBA, Esteban again returned to Ecuador, broadening his activity in the entrepreneurial world as a director, investor, and advisor. He is a co-founder of Viafy, where he currently serves as CFO.